Located on the north side of Galleria Dallas facing the North Dallas Tollway and next to the Westin Galleria Hotel. For reservations, please call 972-385-3114. 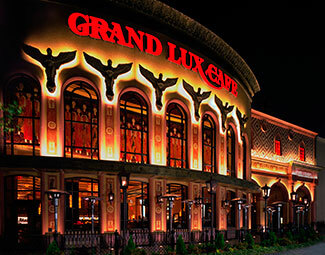 Valet and self-parking available in front of Grand Lux Cafe and in the Galleria.